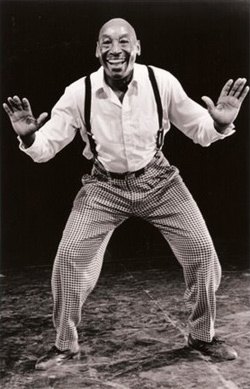 Ambassador of Lindy Hop, Dancer, Tony-award Choreographer, Teacher. What an honor to have danced with Frankie Manning and to have learned from him what he grinningly called the "Shim Sham Shimmy" when I first took training from him at Pasadena Ballroom Dance Association, California. Now, though others may teach variations, when I teach the Shim Sham, I do it Frankie's way! Thank you Frankie. And thank you, Erin Stevens and Steven Mitchell, for bringing Frankie out of retirement and, eventually, into my dancing arms. Vos and I remember our all celebrating with Frankie, several birthdays in his eighties, and especially Catalina Island in 1999, the year Frankie turned 85. You may Google Frankie Manning and enjoy wonderful examples of Frankie Manning's dancing and history. Watching the video of his last interview, I truly think he just kept getting younger, right up to the end, only a month short of 95. DIP (dance in peace) dear Frankie, and thank you for sharing your gifts with thousands and exponentially, perhaps millions of people. As long as we live, a bit of you lives on in us. And thank goodness for the films that will keep your talents, good natured humility, dazzling smile, energy, humor, and beautiful spirit, with us forever. What a legacy you've left us! Dear, dear Bob, I'm so glad you got to see yourself inducted into the Rock & Roll Hall of Fame, as The Ventures' co-founder, along with Don Wilson - and a television reunion of all those surviving musicians who had played with you, including Nokie Edwards (and Leon Taylor carrying on as drummer, after the death of his dad Mel Taylor, plus his widow Fiona carrying on as manager in his place - both present, in the absence of you and Gerry McGee, unable to attend). When, exactly three years earlier, Mark Christopher hosted that Beach Party concert at the Premier Club (capacity 2,000), to promote The Ventures' possible HOF Induction, and Don Wilson's son Tim called in advance and asked if I'd do an interview with Mark on KBSG to promote it and support you all and your cause, I was very happy to help! And that night, When you played and at intermission, we rehearsed in the Green Room, for the four of you to accompany me on "Come Softly To Me", I was so glad for our reunion (and some nice photos)! But my favorite photo of you is the grand finale, when, at the urging of Nokie's wife, I'm dancing solo, onstage, to your music, and the look on your face is so affectionate and appreciative. Thank you for that special memory, for a lifetime of music, and our being "cousins" - label mates on Dolton Records. with "only days, weeks or months to live"? Olympia - Wednesday, July 30, 2008, family and friend joyously gathered to celebrate the 99th birthday of profoundly loved matriarch and South Sound Cultural Leader, Helen Christopher. Her hospice care had begun four and a half years earlier; yet she amazed us all. One month and three weeks into her 100th year, at noon on Friday, September 19, 2008, she made her transition at home in Panorama City, Lacey, WA., having been surrounded by family, periodically flying in from California, New Mexico, Connecticut, and New York, to share her dramatics, humor and chocolate, all of which she loved. There is so much to celebrate: That she lived to see the 2003 Salute to the Arts Award for her "numerous and outstanding contributions to the arts in the South Sound area", just a few of which were co-founding both the Olympia Little Theater and Olympia Junior Programs (acting in and directing musicals, dramas and children's theater - The latter now serving 30,000 school children per year); co-founding ASCM ("Ask'em" - Associates of the State Capital Museum); participating in Fine Arts Guild, Orthopedic Guild, Eenati, and in support of Olympia Symphony, in which her husband of 63 years, Ian Christopher (1900-1997) played flute and cello for 33 years. She played piano and sang, and they hosted chamber music, jam sessions and musical soirees in their home on Henderson Inlet, even as he supported her theater, cultural and civic activities. 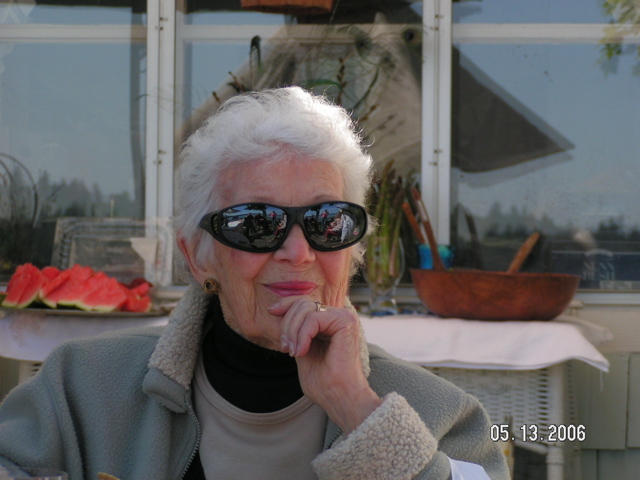 A gracious, relentless arts activist, Helen spearheaded, chaired and served numerous organizations, working with others to create a (Washington) center for the performing arts. Eldon Marshall, Supervisor of the City of Olympia over 25 years, wrote in a personal note of congratulations to Helen, "I just want to express my thanks for your leadership in achieving the 'Performing Arts Center' for our community. If not for your efforts and persistence I doubt that we would have it today," Chairman of the Auditorium Committee of the Sixties; she was the only woman appointed to the Mayor's Committee of the Sixties, and really "Mother of the Auditorium", wrote Marshall. She was loving and proud of her children (each distinguished in their chosen fields) and their mates: James Gray Christopher (Gina), Sonja Lee Christopher (Gail), Gretchen Diane Christopher (Vos), William Ian Christopher; beloved grandchildren, Dawn Christopher Spratt (1964-2001), Sharon Christopher Naranjo (Larry), Daniel Price Shumaker (Toni), Christopher Gray Matzen (Gina), Kimari Matzen Helmer (Christopher); and her adored great grandchildren (ages three to 21), Gray, Lillian, Avery, Kamiel, Tessa, Alejandra, Ian, and Larry. Ever an inspiration, at age 88, Helen wrote an autobiographical book, DOUBLE ENTRY, published 1997. Copies reside in libraries, including Whitman College, where she pledged KKG and, in 1931, earned her teaching credentials and Bachelor of Arts degree. DOUBLE ENTRY documents a family life, valuing love and service to community, from the time she was born, in Wilbur, WA. There, her ashes will be laid to rest with her twin brother, William Price Gray, Jr. (Editor of LIFE Magazine International Editions, upon his death in 1962), their mother, Della Wray Green Gray (a certified, fully accredited teacher from the age of fifteen) and father (former Wilbur Mayor and State Senator) W.P. Gray, Sr., who died within seven months of each other, in 1957, after 52 years of marriage. Helen wished that, in lieu of flowers, memorial contributions be made to the Washington Center for the Performing Arts, 512 Washington St. SE, Olympia, WA 98501. The family deeply appreciates the loving care by Hospice and caregivers, all of whom are welcome to speak at the Celebration of Helen's Life, 2:00 p.m., Saturday, October 4, 2008, at Panorama City Chapel, with reception following at 3:30 p.m., below, in the Coffee Bar across from the Auditorium, all in the Quinault, Lacey, WA. For printed program, "Celebration of A Life Well-Lived" - designed by Gretchen, performed by all - click here. For Photos & Journal of 2nd Celebration of Life on Helen's Hundredth, click here. Cyd Charisse, my dance mentor and idol since the 1950s, made her transition, Tuesday, June 17, 2008, at age 86, another Pisces, born March 8, 1922 (or '21). The year doesn't matter, for she was forever both elegant and youthful beyond limitations of years, including the last 60, in marriage with singer Tony Martin. What a role model! When Cyd Charisse was no longer making films, she and handsome husband-singer Tony Martin toured, doing their night club act together, he singing, she dancing. How I wish I could have seen that! I don't say Cyd Charisse died, because as long as I'm alive and sharing dance with others (as I am now, twice a week), a part of her is expressed. As a teenager, with a ballet barre in my bedroom, and taking dance classes five days a week, I would come home, lie on my back on the bed and extend one leg overhead, toes pointed, the other doing a passé, practicing to imitate those long beautiful legs, that sultry, sophisticated vamp of jazz and ballet. Cyd Charisse. She was IT. The epitome of all I wanted to be, in dance. Of course, I had other talents, and they took me far beyond the world of Dance, to Singing, Songwriting, Gold Records, Radio and Television (and even Movie Sound Tracks). As The Fleetwoods, our music became known throughout the world, especially our self-penned "Come Softly To Me" - and "Mr. Blue", our #1 Hits in 1959, still the Golden Age of Hollywood musicals. A string of nine Top 40 Hits, kept us in the minds and memories of those who loved our heartfelt arrangements, smooth harmonies and counterpoint, expressing the sincerity of the lyrics. When I performed solo, I would often include a dance. Last year, I received a letter from businessman Bob Brakeman, documenting that the legendary dancer/choreographer Gene Kelly (one of Ms. Charisse's finest partners, her other being the legendary Fred Astaire) was a personal acquaintance of Mr. Brakeman, who said that Gene Kelly was a fan of The Fleetwoods! He regretted that we had not been introduced, as they had discussed; for I'm told Mr. Kelly and I surely would have been friends, with much to talk about. According to Mr. Brakeman, Gene Kelly loved our music and ordered his assistant to buy every Fleetwoods record he could find. And I certainly loved Gene Kelly's dancing and choreography. Oh, to have been his partner, even for a moment! But now it's too late to meet Gene Kelly, or Fred Astaire, or the most beautifully talented dancer they ever partnered, Cyd Charisse. May she not just rest in peace, but continue to light up the heavens with her dancing. How blessed we are to have her on film, :in "Silk Stockings", "Singin' in the Rain", on "The Band Wagon", in "Brigadoon". Picture it!. And, yes, one of the most memorable was the Broadway Melody Ballet (pictured above). There is so much more, but you need only Google Cyd Charisse, and you will find many details and videos, to be treasured. These are just my personal memories. At nearly 99, my mother lies on the bed each morning, doing her daily exercise, one leg pointed toward the ceiling, pulling on her long black stockings in what I call "doing your Cyd Charisse." I am so proud of her. Cyd Charisse, you are such an inspiration! PS: To (above) Zola Taylor's great niece, Cherisse, If you've never seen the dancing of the woman for whom you are named, you must find a way to see her now, drink in the beauty and elegance of your most talented and remarkable namesake. with over 100 million record sales since the 1960s. He had the first classical album to reach #1 on the Pop charts. In addition, he dared to cross over to pop including a video of "Your The First, The Last, My Everything,"
ZOLA TAYLOR, original female voice of THE PLATTERS (including #1 Hits: "The Great Pretender", "My Prayer", "Twilight Time", "Smoke Gets In Your Eyes", among numerous Gold Records), died Monday, April 30, 2007, of pneumonia, following several strokes. She recently was taken into the hospital and had to undergo emergency surgery. After surgery she seemed to have been recovering. Her nephew, Alfie Robinson, received a call from the doctor Monday morning informing him that her heart had stopped and that they were not able to revive her. The family of singer Zola Taylor announces the sad passing of the Hall of Fame recording artist. Ms Taylor was the original female member of the Los Angeles based group the Platters. Los Angeles, CA 90008. The telephone number is (800) 348-3939. Other Biography info. as follows: Zola Taylor was born on March 18, 1938 in Los Angeles, CA. She was the youngest of 7 children born to George & Phedora Taylor. with the group called the Platters. The Platters was signed with the Mercury record label. It was not known that the group was black until their first album was released). to the singer Frankie Lymon as a young adult. Later in life she was married again. She was widowed in 1981 by the passing of her late husband Bob Franklin. 2007 has been my most startling year of loss of lives of Special Friends (mentioned above): STERLING RADCLIFFE (Songwriter, "You're the First, the Last, My Everything") died January 18. A month later, JOSIE WILSON (Ventures' producer, mother of Founder Don Wilson) died February 19. Four days after that, DANIEL SCHWARTZ (my favorite touring/dance partner for 8 years of jazz festivals) died February 23. And now, JACK VALENTI (Former Special Assistant to President Lyndon Johnson, Author of books he gifted to me, and long-time President of the Motion Picture Association of America, in the midst of which we met at The Beverly Hills, where I had been honored at the BMI Million Airs Luncheon. Invitations and phone calls followed. Back in Olympia, WA, I was touched at his Special Delivery remembrance of my 12th Leap Year Birthday, February 29, 1988. Nicknamed "the Czar of Motion Pictures," (MPAA President, 1966-2004), he died April 26, of complications following a stroke in March. He is survived by Mary Margaret Valenti, his wife since 1962, and their three children, John, Alexandra, and Courtenay Valenti. My daughter, having heard on television the news of Jack Valenti's passing, said, "He's a friend of my mom," and called my cell phone immediately. The cumulative shock of that fourth loss sent me unconsciously driving through a red light, momentarily seeing, through my tears, only the series of friends, so quickly departed this year. I was en route from Seattle and a farewell party for Heart's Founding Guitarist Roger Fisher and his wife. (Rog and Eve, and their six year old son Rogie, are moving to the Czech Republic to be near her family.) But at least that loss to us is only temporary: we're invited to visit them in Prague, and we feel certain they'll come back. I suppose it's human nature to wish my other friends could come back. Sterling, Josie, Daniel and Jack; I think of you every day. 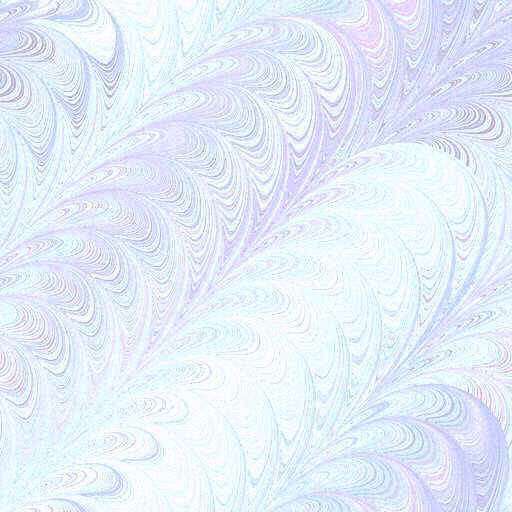 For the interweaving of your lives with mine added so much to the richness of the tapestry. Now, for as long as I live, a part of you will be alive, too; for, In some miniscule way, you're a part of all I do. DANIEL SCHWARTZ (Feb 27, 1922 - Feb 23, 2007), Gretchen's favorite dance partner and fellow-Pisces Daniel, suffered a stroke on the weekend of 2/17/07, in his apartment in North Seattle, was discovered on 2/20 by his older daughter and rushed to hospital. Paralyzed and unable to speak, Dan had previously requested no heroic lifesaving measures. Dan died peacefully in Northwest Hospital, at 1:25AM, 2/23/07, with family at his side, just four days before his 85th birthday. A Dixieland Jazz celebration of his life will be held at a later date. An avid trad jazz listener for decades, it was not until Daniel Schwartz was age 60 that he learned to dance. To his amazement, he discovered and declared, "For a man, being a good dancer is the greatest way to attract beautiful women; more important than wealth or good looks." Gretchen Christopher's response, "Dear, dear Dan; how we will miss you." As Dixieland Jazz Festival regulars, Daniel Schwartz and Gretchen Christopher were known up and down the West Coast, and further, for their constant dancing and her occasional singing at Jazz Festivals from California to Canada, and even overseas. At Dan's introduction, Gretchen sat in with several bands in 1997 and 1998; then, in 1999, the Chilliwack International Dixieland Festival booked Gretchen Christopher as Special Guest Artist, and she performed with 7 bands in 4 days, to the delight of jazz lovers, self-professed "Gretchen Groupies", and Dan, with whom she danced in between sets, delighting their own fans. Their travels and performances included Jazz Cruises to the Caribbean and Baltic Sea (Russia, Finland, Sweden, Denmark, Norway, Germany, etc. ), as well as The 500 Club in London, The Slow Club in Paris, The Follies Bergere in Paris, The Mayor ________ in Brussels, and cruising the River Rhine, from Strasbourg to Cologne, plus memorable weekends in New York for the American Swing Dance Championships, and the grand surprise of Las Vegas for Celine Dion's opening week. Born 17 years and two days after Daniel Schwartz, Gretchen Christopher had a true birthday anniversary only once every four years, on February 29th. To celebrate her 15th leap year birthday, Dan surprised Gretchen with a pre-paid two week trip to St. Petersburg, Russia, to extend her studies of ballet, at Vaganova, arguably the most famous ballet academy, counting among its graduates such legendary names as Anna Pavlova, Vaslav Nijinsky, George Balanchine, Galina Ulanova, Michel Fokine, Rudolf Nureyev, Natalia Makarova, and Mikhail Baryshnikov. But the grand opening of the Experience Music Project (EMP), where Gretchen's Gold Records and first Fleetwoods tour costume were to be exhibited, took priority, and Gretchen stayed in Seattle to perform "Come Softly To Me" a cappella, for the EMP Grand Opening concert. Daniel insisted the birthday girl deserved a consolation prize, and later sent her to Montreal, Canada, to study Argentine Tango, in a nine day intensive. Though Dan did not care to dance tango, himself, he and Gretchen were swing dancing spontaneously, outside a sidewalk cafe in Brussels, Belgium, to the music of an accordion player serenading the diners. At the musician's request, Dan led Gretchen in an American Tango that had the audience cheering and the musician passing the hat! Upon breaking the news of his death to Gretchen, Dan's daughters said, "We want to thank you for all you did for Dad. You gave him a new lease on life." Gretchen replied, "And he gave me a new lease on life. I was married 14 years to a man who didn't dance. When we divorced and I discovered the joy of dancing to Dixieland jazz with Dan , I was in heaven! Couldn't stop smiling. Thanks to Dan, the most wonderful age of my social life began in my fifties!" Gretchen later observed. "I need no reminders. He's with me all the time. We did so much, made so many good memories. Thoughts of Dan just pass through my mind every day." Gretchen Christopher has committed to sing Dan's favorites, including "St. Louis Blues", which he taught her from a Bessie Smith recording, and Gretchen's special renditions of "Bye Bye Blackbird" and "Hard Hearted Hannah", at a Dixieland Jazz memorial celebration of Daniel Schwartz's life, to be arranged by his daughters, (TBA). Please check back here for further details. You're a light. I loved that you came to my Tug Boat Race party and brought family, enjoyed the sunshine and clams, talked of Bob Reisdorff, swapped your book of poetry with Mom for her autobiography and wrote to her after; spreading your love. Forgive me for not getting you my new album before you took your leave. But I will get it to your children, just as you asked. And thank you so much for your encouragement and humor. I'm glad I could help get you the information you sought for Virginia Boles service. I hope that put your mind at ease. So active, and thoughtful, right to the end. Fitting, that family and love surrounded you, as you peacefully slipped away. And yet, you will always be with us, Josie. I love you. And so many do. Your life has made a lasting difference and continues to touch people throughout the world, through the music and musical progeny you helped to create. With love. 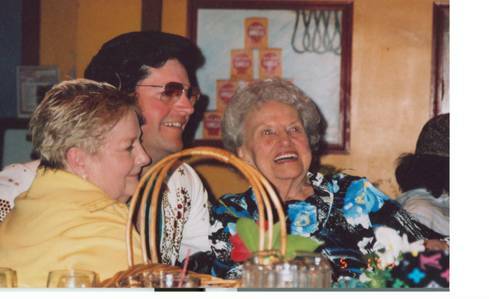 Services for JOSIE WILSON, Founder of Blue Horizon Records and The Ventures,10AM, February 26, 2007, at the Aspen Chapel, Mountain View Funeral Home at 4100 Steilacoom Blvd., Tacoma, WA 98499. Entering the foyer of the chapel, I was greeted by the happy sound of The Ventures music. I slipped into the sanctuary and saw that the music was recorded and accompanying a video collection of still pictures of Josie Wilson and her family through her lifetime. The last showed a very frail but still smiling Josie Wilson, holding what's probably the latest model of The Ventures guitar. Then, Josie's granddaughters read appropriate poems, effectively, including one Josie had written, "Grandmother's Favorite", whose surprise ending brought a chuckle from the otherwise somber congregation. After the minister spoke and invited us to view the briefly-opened casket, I was not sure I wanted to. I like my memories of the vibrant Josie Wilson I described in her Guest Book, online. They opened the casket and, sitting in the second row, I could see her face in profile, waxen and unfamiliarly gaunt. l let row after row of others pass before me, unsure if I wanted to view, but wondering if the starkness of looking on her lifeless form would somehow jolt and spur me to finish that which was so difficult for me, before I lost other friends or even my own life. All others but the family had gone before me, and the usher gently urged me. I was fine until I viewed the open casket. "Josie," I said to her in my mind, "You're so much more than that lifeless form!" Now the tears came, silently, as I exited. I was surprised; had thought, as I drove up from Olympia, how unmoved I seemed, in the face of losing three friends in a little more than a month (two in the last few days). Now, in the foyer as I dried my tears, someone spoke to me. She was a large, friendly woman I didn't know, but we shared our feelings, and it comforted me, and I was eventually able to move on into the large room of the Reception. At the entrance, I visited with Josie's daughter Sally and thanked her for her email keeping me in the loop. "Josie loved and appreciated you so much," she said. I told Sally I hoped it had brought Josie piece of mind when I answered her plea for me to get her the information about Virginia Boles' service (upon the recent passing of the widow of Engineer Joe Boles, who had recorded the first hits of The Fleetwoods and The Ventures; now even that link was gone). Josie had wanted to send flowers from herself and the Ventures. Sally said it did bring her peace of mind, and we hugged. Franciscan Hospice P.O. Box 1502, Tacoma, WA 98401. Songwriter-Producer P. STERLING RADCLIFFE died peacefully in his sleep, at his home in Las Vegas, at age 77 (May 30, 1929 - January 18, 2007). It was just days after catching up via long telephone conversation (Olympia/Las Vegas), following his sending Gretchen Christopher and other friends a link to the video of which he was so proud: legendary tenor Luciano Pavarotti and Barry White singing Sterling's greatest hit song, "Your the First, the Last, My Everything." Sterling had also written, produced, and recorded several versions of his L.A. Theme Song, "City of The Angels" featuring Gretchen Christopher and other solo artists. Sterling encouraged Gretchen to produce a Christmas album, for private issue. Their mutual friend Thad York helped Sterling to find his birth mother and family. For more information on Sterling Radcliffe and to hear beautiful orchestrations, visit MySpace.com/MusicSterlingPlease and the Blog at myspace.com/gretchenchirstopher . 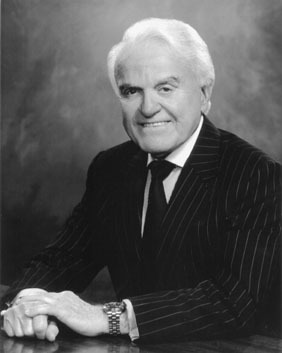 Robert "Bob" Reisdorff, 6/24/1922 - 6/15/2002, Founder/President of Dolphin/Dolton Records, first Northwest label to produce national #1 Hits and Gold Records -- with millions of sales of The Fleetwoods' self-penned "Come Softly To Me" plus "Mr. Blue" (both now exhibited at Seattle Center's Experience Music Project with a video narrated by Reisdorff), following a series of strokes, died of aspiration pneumonia, in a hospital in Modesto, CA, near his niece Charlene, just nine days before his 80th birthday. In Seattle and Hollywood, Reisdorff produced 11 hit singles with The Fleetwoods, the first group in the history of Rock & Roll to have multiple #1 Records top the Billboard Hot 100 in a single year (1959). He also produced the first seven of their 15 LPs. He followed the unprecedented success of the trio's intimate harmonies and counterpoint (initially recorded a cappella) with The Ventures' guitar instrumental hits and early LPs, which influenced a nation of young guitar players. Reisdorff also produced hits with Vic Dana upon his being selected by Gretchen Christopher and Barbara Ellis to replace Gary Troxel on Fleetwoods tours, during Troxel's Naval tour of duty. In London, Reisdorff set up and opened Liberty Records' European branch, before retiring from the record industry in the late Sixties. Relocating to a loft in New York's Soho District, he devoted himself to writing, but his novellas remained unpublished. He co-owned the well-known Broom Street Bar, until the mid Eighties, proud of its attracting clientele from as far away as Europe. The Fleetwoods' Founder and Manager, Female Lead Vocalist/Writer Gretchen Christopher, arranged for the trio to visit Reisdorff in his loft when they played Madison Square Garden in November, 1981. Upon return from touring the Soviet Union, where she distributed the Reisdorff-produced Fleetwoods' Greatest Hits as gifts of peace behind the Iron Curtain in 1985, Christopher was flown to New York to record a solo on "Our Message To The People For The Children" by Roots of Rock & Roll Against Famine. She visited Reisdorff then, again in Autumn 1985 when she returned for the video shoot, and in 1994 when she returned for the Grammys and shared her solo recordings with him, in which he took great delight. Giving her a walking tour of Soho, Reisdorff said, "Buying this building (loft) was the best investment I ever made;" then he chuckled and corrected himself, "No; The Fleetwoods were the best investment I ever made; that allowed me to buy the building -- and everything else I did." Before and after September 11, 2001, living in Modesto, California, Reisdorff enjoyed long phone conversations with Christopher listening to his reminiscences. Though he is gone, the fine music he produced lives on. In addition, there is the collector book he inscribed, long ago, "To Gretchen, You started the whole thing. Love, Bob." 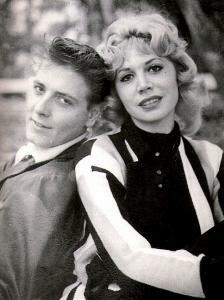 Artist Eddie Cochran; co-writers of "Somethin' Else"
Songwriter Sharon Sheeley, born April 4, 1940, died May 17, 2002, of a cerebral hemorrhage that occurred on Mother's Day. 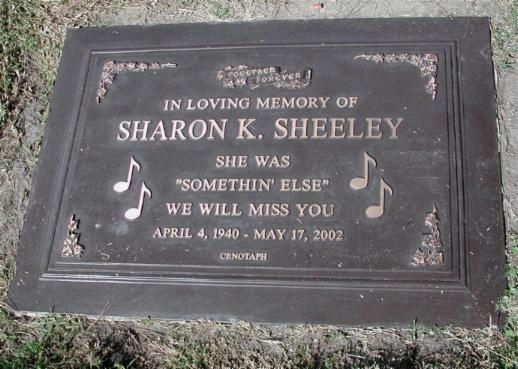 Her death on May 17 was 42 years and one month after the tragic car crash in England that killed the love of her life, Eddie Cochran ("Summertime Blues"), and massively injured Sharon. Sheeley had written the Rick Nelson hit, "Poor Little Fool" (which The Fleetwoods recorded on their album, The Fleetwoods Sing The Best Goodies of The Oldies). 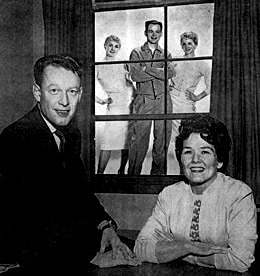 Among several songs for the trio, Songwriting Team Sharon Sheeley & Jackie De Shannon co-wrote The Fleetwoods' hit, "(He's) The Great Imposter" which, despite uncoordinated promotional effort, reached Number One all over the country, but at different times in different markets, so charted nationally at 30. It was included on the soundtrack of the movie, American Graffiti. Sharon Sheeley and Gretchen Christopher met again at the 1988 BMI Million Airs Luncheon, where both were being honored as BMI Million Airs Songwriters, for over a million US radio broadcasts each, of their greatest hits, Sheeley's "Poor Little Fool" and Christopher's "Come Softly To Me". Friendship ensued. On their last visit, Sharon proudly showed Gretchen a Gold Record of The Fleetwoods' "Great Imposter" single, hanging on her wall amidst four others. The Fleetwoods extend their heartfelt sympathies and best wishes to Sharon's son, Shannon, and all who loved Sharon.